GOLKK Theatre Company was founded in 2016 by 4 University of Kent Graduates (Grace Wranoski, Olaf Leiros, Luke Stokes, and Kristin Bacheva). 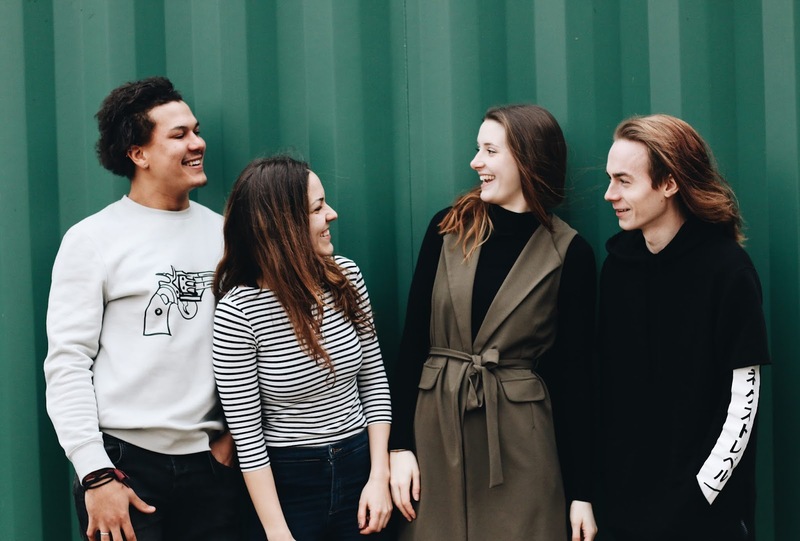 A multinational theatre company, their work utilises dynamic physical theatre because of its universal nature, and seeks to bridge the gap between mainstream and fringe theatre audiences. 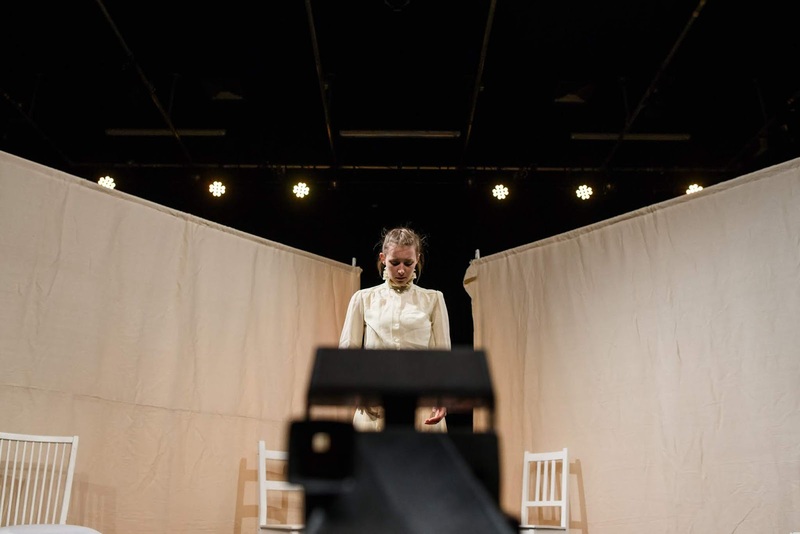 This year, GOLKK are bringing their show Peeking in the Portrait to the Lion and Unicorn Theatre, as part of the Camden Fringe. Prior to opening night, I spoke to company member Grace Wranoski about how GOLKK Theatre Company’s Peeking in the Portrait came into being. Can you tell me how GOLKK Theatre was founded? GOLKK Theatre was formed 2 years ago during a project at the University of Kent, where we all studied an MA in Physical Acting. Olaf brought us all together with a vision of making unconventional physical theatre, and we ended up with a true ensemble who share a vision for theatre which is about being connected in the present moment, as performers and with our audiences. Our work uses subtle improvisation, and responds to the space - which makes every performance different! How would you describe Peeking in the Portrait in your own words? Peeking in the Portrait is really unlike any other physical theatre. It is less about flashy tricks and choreography, and more about the ways that we communicate with our bodies in everyday life - the glances you share with a stranger, the vulnerability of physical contact, the sudden potential in a hand stretched out towards you… We think that Peeking gives audiences a fresh taste of what ‘physical theatre’ means, and allows them the chance to make up their own narratives. Peeking in the Portrait is inspired by a woman named Clementina Hawarden. What makes her such an interesting subject? Clementina Hawarden was a photographer in the Victorian period. She used her daughters as models for some very curious - and for the time, very provocative - portraits. We were so inspired by how Hawarden had turned the confines of a domestic life into a space where she could freely express herself. In rehearsals we played with re-creating her portraits, and found that they gave us characters who all had such different relationships with the camera, which is so relevant for our current society. Whether you’re obsessed with selfies, or nostalgic about disposables, photography is everywhere in our lives - and we play with bringing Hawarden into this conversation. The use of photography within the production is an interesting and unique one, as you use a camera to capture live snapshots of the performance as it takes place. What inspired the use of a camera within the production, and does it cause any difficulties for you? Well we fell in love with the idea of using the polaroid camera as a fifth character - and for that we needed to use it! But of course, polaroid film is not cheap… we had to dramatically reduce the amount of photos taken during each show, but now they are in more poignant moments. And we have been lucky enough to be sponsored by Canterbury Camera Center! We always look for ways that we can combine theatre with other art forms, whether that’s visual arts or music or, in this case, photography. We find that merging art forms really opens up the theatre experience to be viewed in a different way, and our audiences have loved looking at our exhibition of polaroids- which you can see after the show! GOLKK are an ensemble of performers who are ‘passionate about the universal nature of physical theatre’. What do you do as an ensemble to prepare before each performance? We have a ritual called ‘Huddle and Hum’. Just before each performance begins, we join as a group to hum all together - it’s a very simple ritual, but it connects us all on a physical, mental and atmospheric level, and reminds us to be present. Why should audiences come and see Peeking in the Portrait? Copyright © Talk Stagey To Me. Blog Design by FabFleurStudio.